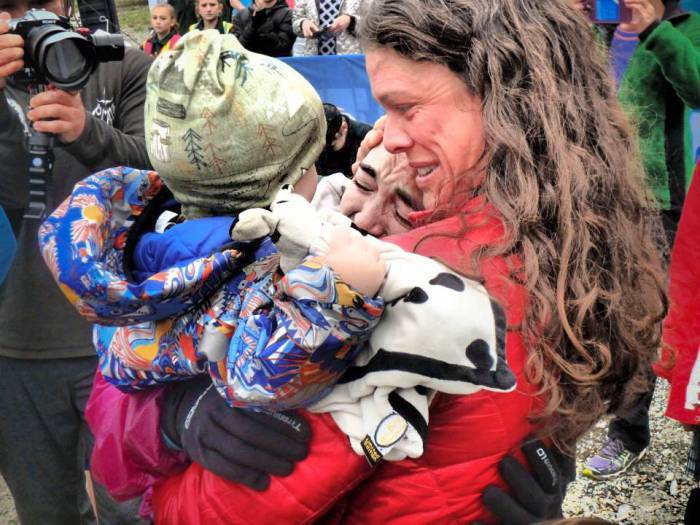 Athlete and mom Chelsey Magness shares what it’s like to race for 10 brutal days straight — all while separated from your 1-year-old. Navigating 134 miles by bike, 93 miles on foot, 114 miles paddling, and another half-mile trekking in a cave, Chelsey Magness can endure brutal conditions. But the most intimidating part for Magness? 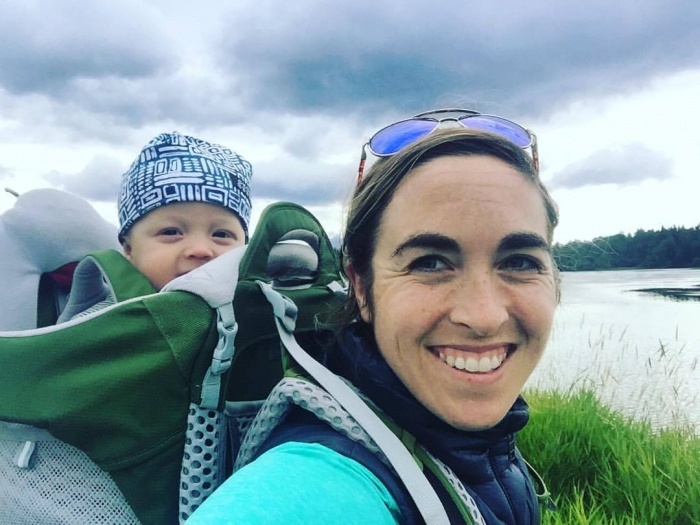 Leaving Max, her 1-year-old son, behind to compete in one of the toughest multi-sport endurance races in the world, the 10-day GODZone Pure. From March 1 to 7, Chelsey and teammates Adrian Braaksma, Andy Magness, and husband Jason Magness covered 340 miles of brutal terrain in the remote Fiordland National Park of southwestern New Zealand. 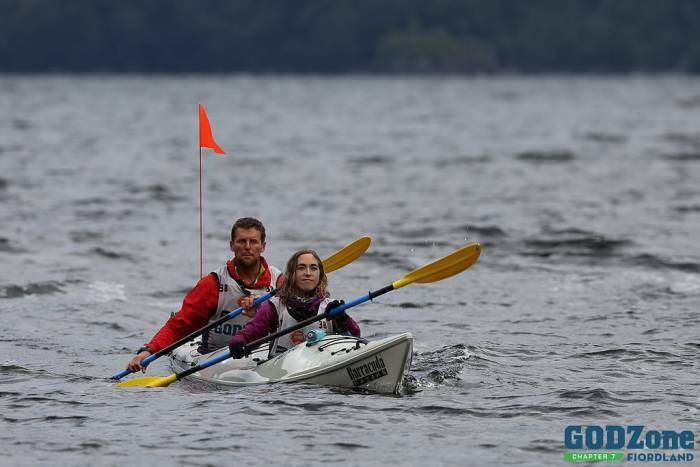 They crossed the finish line in 7 days and 51 minutes. Of the 92 teams that began the race, they finished seventh. After some much needed recuperation and time with her son, we caught up with Magness. She told us about the reality of what it was like getting back into endurance sports as a new mom and how thinking of Max’s stillborn twin helped her through this race. 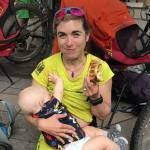 Q: This was your first expedition-style race after giving birth in January 2017. What was the decision process like to go back? Magness: After losing one of my twin boys at birth, some of the few things that brought me little bits of peace in those first weeks were being outside, connecting to nature, and moving. At three months postpartum, I did an eight-hour race and felt like it was a good thing for my body and soul. Then at six months postpartum, I did a 36-hour race where I breastfed Max every four hours. We won both of those races. After seeing how well my body performed and how amazing our community and family were at coming together to make it possible for me to race, I knew that as a team we could figure it out. Q: Did you face any challenges in making the decision to race again? I felt excited, scared, and nervous. I still have a diastase and an umbilical hernia from being so small and having twins. For the past 13 months I had been doing physical therapy every day. And while it had been getting better, I didn’t know how well my belly and back would do, or if I could keep my awareness and technique when fatigue and sleep deprivation came on. Q: What was the journey of different emotions you felt leading up to and throughout the race? Leading up to the race, I was a bundle of excitement and nerves. But none of this surprised me, as this is as it always is for me! But I was also very nervous about leaving Max for six to seven days. It would be the longest that I would be away from him. At the start line, I wept because a part of me didn’t know if I could handle being away from Max. But once I started, I knew that it was exactly where I needed to be. Q: What was it that allowed you to feel comfortable leaving your young baby for a week? We went to New Zealand a month and a half prior to the race to hang out with my brother-in-law (who we raced with), sister-in-law, and their two boys. Over that time, Max got really close with his cousins and aunt, so when it came time to leave him, although I was nervous, deep down I knew that he would be very well taken care of and well-loved. We also had a lot of our close friends around during the race who gave us updates and messages, which was so awesome. Q: How did you feel during the race? Q: Once that feeling showed up, what helped to get you through the race until you saw Max? Max’s twin, Spirit B, who we lost around the time of birth, helped me through. Being in nature is where we connect. In the middle of the night when I am trekking in my own bubble of light in the forest, Spirit B and I have many talks about life. It has become a precious time that I look forward to. And whenever I thought of Max, I imagined him connecting and bonding with his cousins and aunt in a way that wouldn’t be possible if I were there. If I ever got sad through the race, I just thought of that and it helped me carry on. Q: Do you have an idea how Max felt about being away from Mom for so long? Q: How was it being reunited? We had a very emotional finish because we had to carry Andy across the finish line due to some severe trench foot. I broke down and started to weep when I saw Max. Andy’s wife Tammy (who was holding Max) was also was crying at the sight of her husband not being able to walk. The three of us all held each other for a long time. Q: What were the days after the race like with Max? Post race with Max was very hard at first. Luckily we had a lot of support from family who could be primary guardians until Jason and I came back to life. After a full night’s rest, though, I felt like I was on Max’s program: sleep, eat, play for an hour or two, sleep, eat, and repeat. We were in sync for at least a week post race. I think he liked all the downtime with Mama and Daddy. Q: Is there anything that you learned in regards to racing as a mom? I learned to ask for support two days before the race and two days after the race. Asking for child care help for just the race doesn’t work for me or my team. I need to be fully present for race packing, and then I need to sleep for a full night before I can be a fully functioning mother again. I also learned that after my birth process, I am way stronger mentally than before. Q: When will you race again? 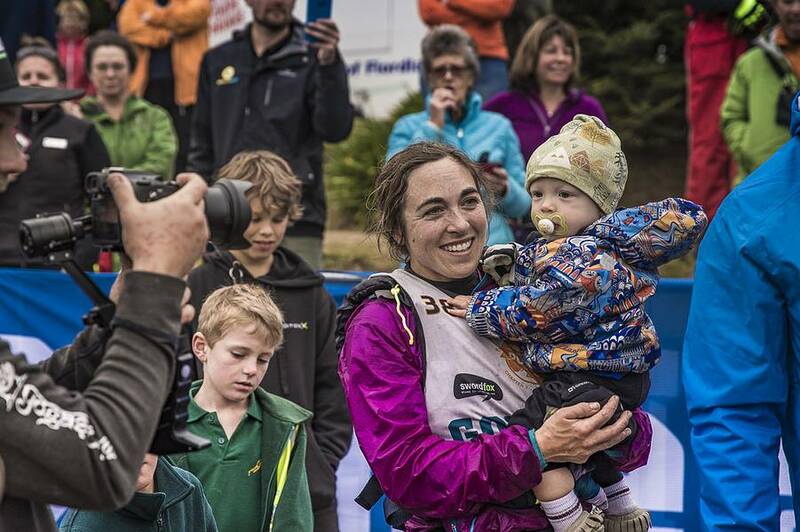 Before GODZone, I was trying to decide if I wanted to try for another baby right away or race again in November’s Patagonia Race, as it is a very iconic and soulful race for me. 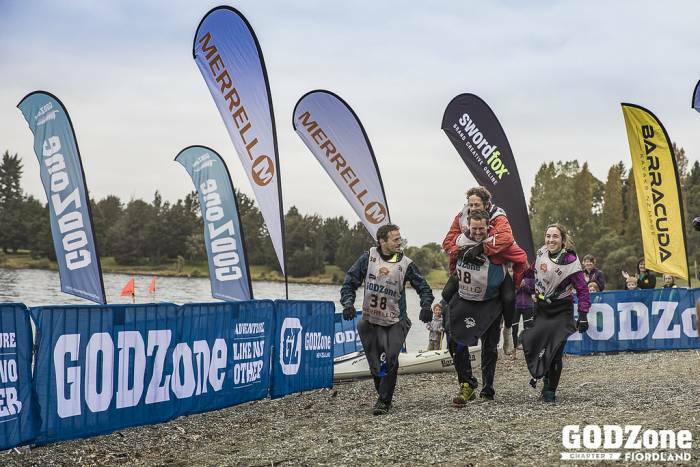 During GODZone, I decided that we could wait six more months for another baby and that emotionally and physically, it would be best for me to do another race before taking off for another year or so. Q: Many women don’t get back into racing after giving birth. Why was it important to you to do so? Racing in the rugged mountains, down raging rivers, and through lush valleys is very much a part of who I am. Being out in the elements and getting from point A to point B as fast as we can under our own team will is something that brings me so much joy. Giving up adventure racing feels like it would be giving up a part of my soul. I want Max to see me at my best and happiest so that I can be the greatest mother that I can be. I believe it makes children more confident in themselves and able to identify their passions easier to see their parents do something they truly love.